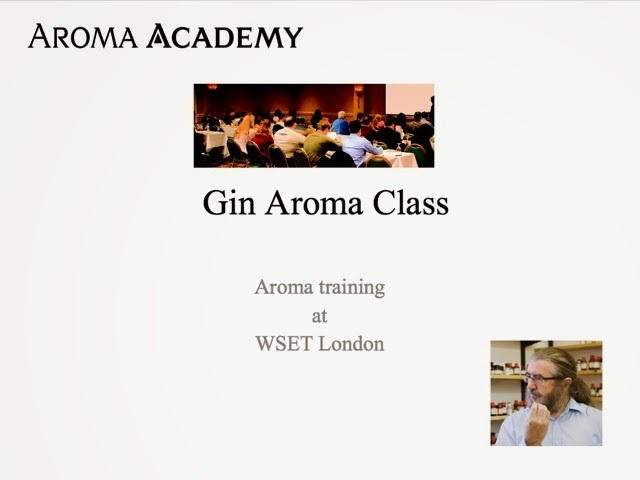 Gin Aroma Academy - What's Katie Doing? 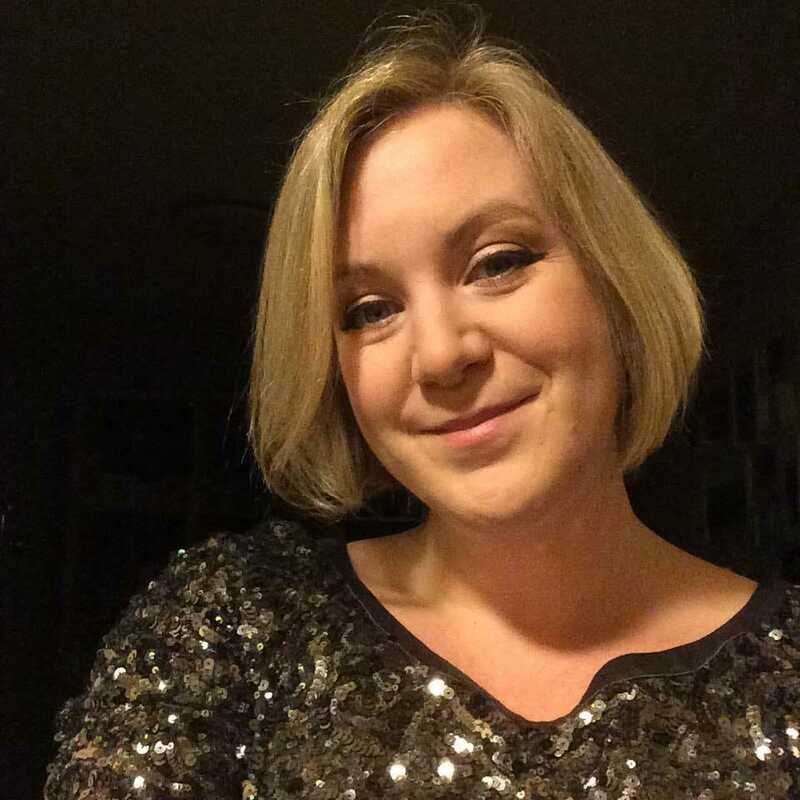 Gin Club (well Catherine and I) attended the Gin Aromas event at the Wine and Spirits Education Trust (WSET) on Bermondsey street. The lovely Kim Lahiri from the Aromas Academy explained how they came up with their aromas and how these could then be used as standardised aromas for educating and calibrating the nose. Dr George Dodd (pictured above) formulates the aromas that epitomise the characteristics of key smells for gin, wine and whisky. George is a master perfumer and an Aroma Scientist and it is his expertise that goes into formulating precise aroma solutions that act as a standard. The aroma standards are the essence of a particular smell i.e. what makes orange smell quintessentially and identifiably orange. 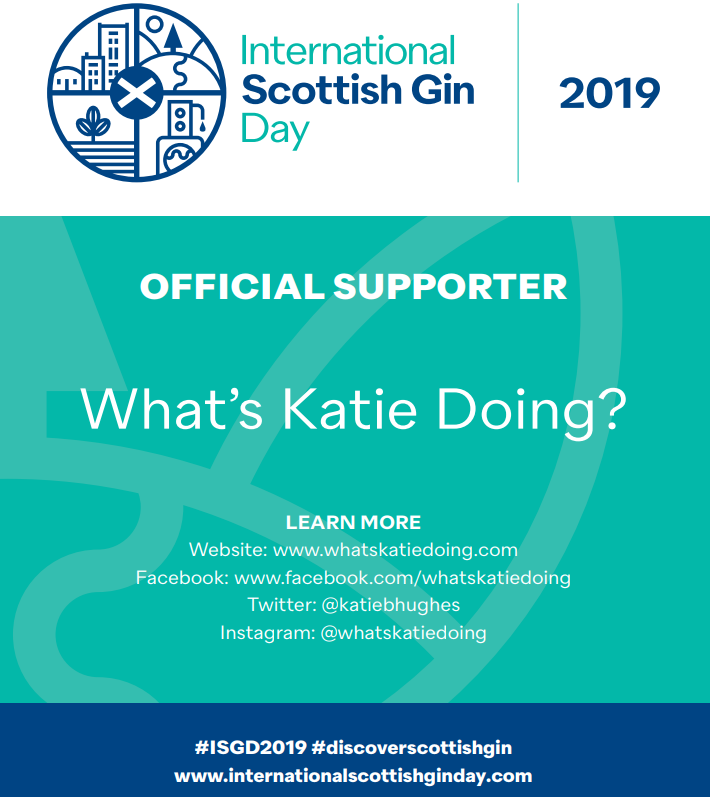 The gin aromas are a little different from the basic aroma kit, in that they are blended with a background of juniper to help train the nose to recognise the aromas in the gin blend (all gin has to have a juniper base). 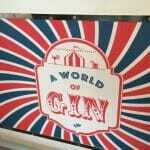 The gin aroma kit we were working with. Now with the basic aromas I could have a better stab at what the flavours were, with the juniper background on the gin kit, those aroma standards were a lot trickier – I need more aroma training!! We started off smelling the different juniper aromas – this gets more complicated… We had a pine nuance juniper, a green juniper note, a herbaceous note and a juniper resin. Now given the breadth of typical juniper aromas you can see why I struggled! We then tried different aromas with the juniper background and had to guess which of the aromas were then reflected in the 3 gin samples we had – including Bombay Sapphire, Hendricks and Tanqueray. For this part you had to get through the alcohol smell that first assaults the nose, we also got the top tip to add small amounts of water to the gin to open it up after first smelling it. This helps to release the aroma profile allowing you to experience the top volatile notes, such as the citrus and floral notes and is the same reasoning you add water to whisky. An example of the gin aromas in Hendricks – I think most people know about the cucumber, juniper is a prerequisite, but I hadn’t analysed and vocalised rose before – after smelling the aroma on its own it was clearly smelt in the gin. 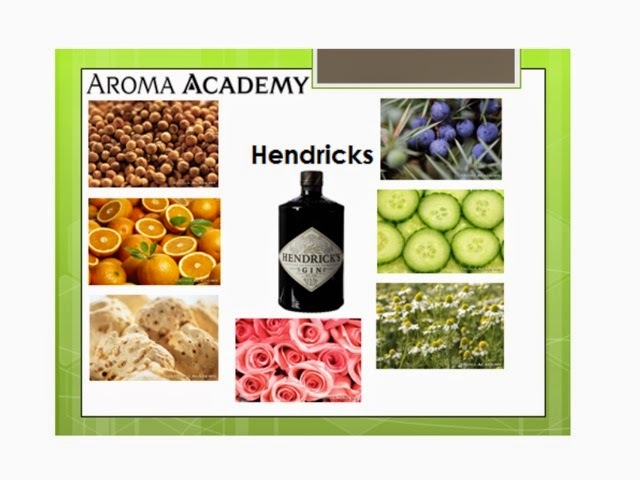 The other aromas shown above for Hendricks include camomile (floral and herbaceous), orris root (the root aromas I found tricky to identify, orris is the root of the iris flower so it can have a floral note as well as being dry), orange and coriander. For the Bombay Sapphire the juniper came through as dry piney Mediterranean woodland floor. 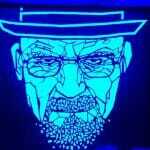 The other aromas included lavender, cassia bark, cut grass and violet. The Tanqueray was less complex with key notes being angelica (dry hedgerow! ), cardamom (spicey), orange (citrus), crushed nuts and liquorice, the last two bringing a creamy note out in the gin. I found the session very useful, even if only to highlight the work I need to do to train my nose! 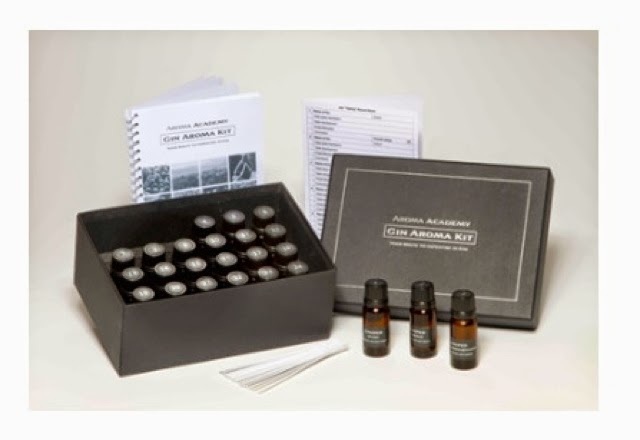 I can see how the aromas kit would be good for those training for their WSET spirits exams, or even for a Gin Club education event.